Assign an aircraft to an aircraft profile with this dialog after the current aircraft was changed in your flight simulator. 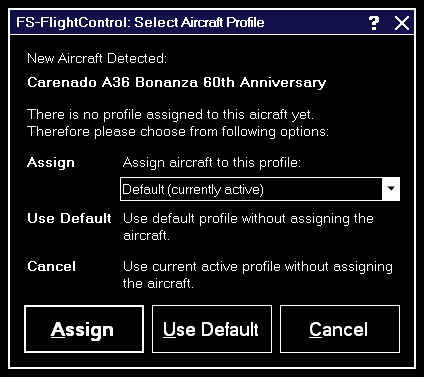 You can also choose to use the default or the current profile without assigning the aircraft. Note: This dialog will only appear if you have enabled aircraft profiles in the Settings module.